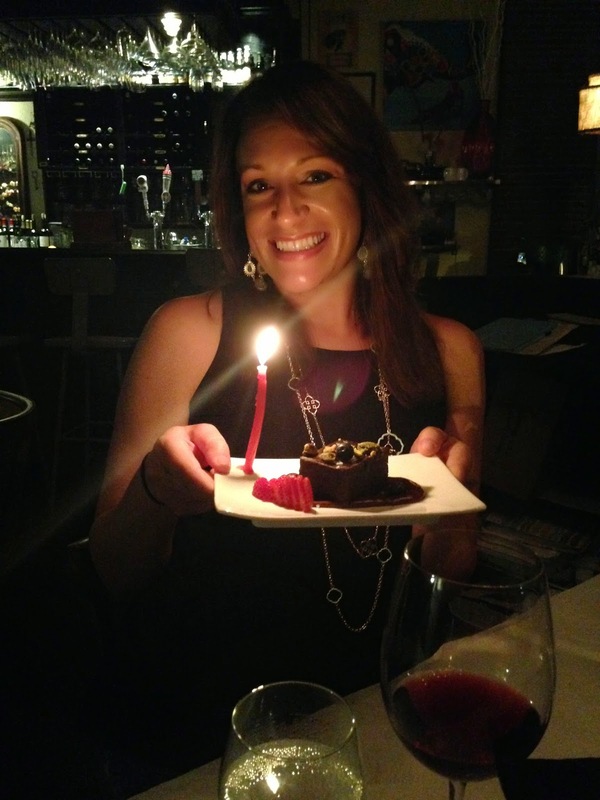 We celebrated my sister's birthday while we were in Orlando at Scratch, a tapas-style restaurant in Winter Park. It is somewhat new (8 months old I believe). We walked in just after 7 and had a short wait for one of the few tables. We cozied up to the bar and stared at A.C. Slater while we sipped on some Cava. Our server recommended two dishes per person. We still needed some time to think, but wanted to get started with a couple things. I guess "getting started" is the wrong term since they took forever to get to us. First were the fries (not pictured)... perfectly crispy but soft in the middle. But, they needed salt badly! Then we dug into the salmon and tuna tartar duo. The melt in your mouth tartars were perfect with the crisp blue potato chips. 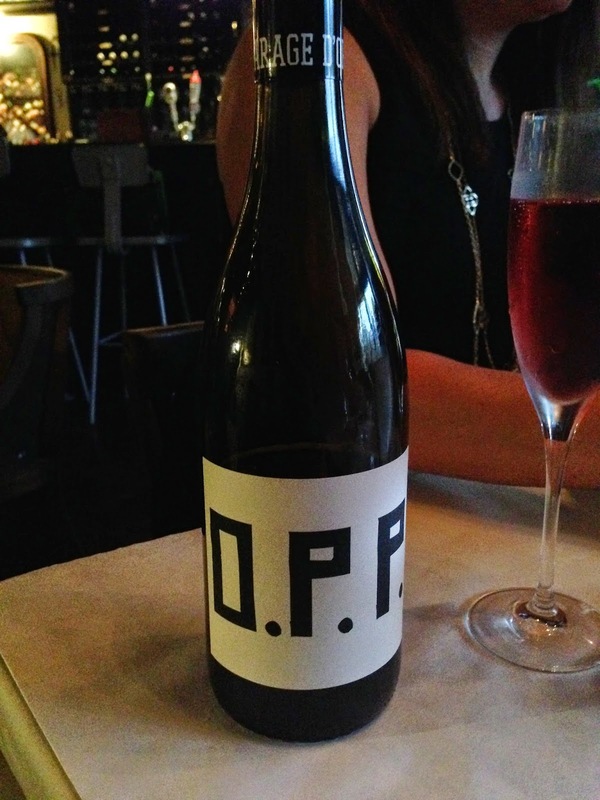 We were running out of Cava, so we ordered a bottle of the O.P.P. Pinot Noir. Great choice! This Willamette Valley wine was so yum. As you can tell by my adjective mastery, I'm a master sommelier. Our bubble soon burst again, tons of menu items were already 86'ed! BOOO! Three things we really wanted to order, the Broccoli & Cheddar, Short Rib and Roasted Figs were out due to their popularity. Apparently they just started opening on Sundays and are trying to get the ordering down. In our desperation we got the Bread & Butter. Four tiny pieces of bread with two huge pieces of butter. One butter was roasted garlic and one was strawberry. Good bread, yes.... good butter, yes. But 4 little slices. Booo! They must have been running low? Then we had the Loup de Mer, a grilled sea bass with a beer blanc sauce. It was flaky and flavorful with slightly crisp skin. The sauce was ahhhmazing! I could drink the sauce. I ate it so quickly I forgot to take a photo. Next up was the highlight of the night, the Pork Belly Adobo. The fattiness of the pork was perfect with the lime, fresh carrots and thinly shaved onion. We were so happy that we ordered two of them! The last thing we ordered was the Veal Breast Confit. It could have been really great, but only parts of it were. One bite was juicy and tender... another was dry and tough. Luckily there was another slurpable sauce, Romesco, to cover up some of the dryness. Our server brought over a complimentary dessert for my sis's bday, the Dark Chocolate Torte! So glad that we could finish off an a high note! It was decadent and chocolatey. The sea salt really set it off. But of course, we also had cake at home...shhh don't tell! Our experience at Scratch was full of highs and lows. But the highs were really high. I would love to go back next time I'm in Orlando, and hopefully they would have worked out some of the kinks. I think this restaurant has potential to be one of the best places to eat in O-town. This food seems to be very good !